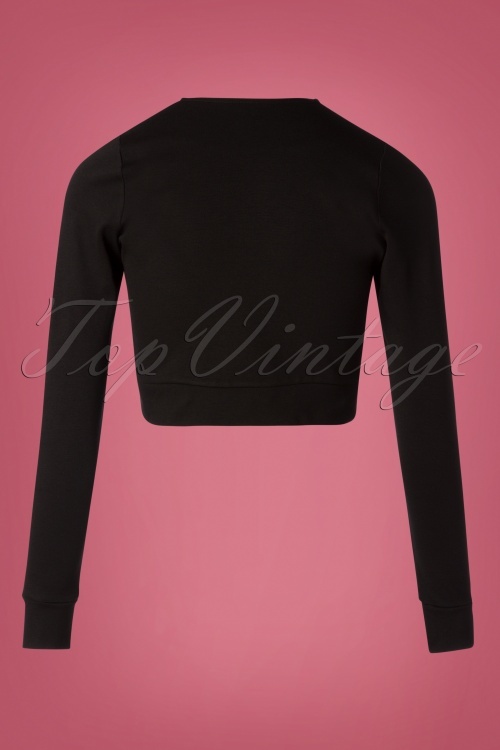 This 50s Dapper Cropped Blazer in Black is the perfect match to all your vintage gems! This cropped beauty features a classic collar, closes by 3 fabric buttons, has long sleeves and hits the natural waist making her ideal to pair with high waist items. 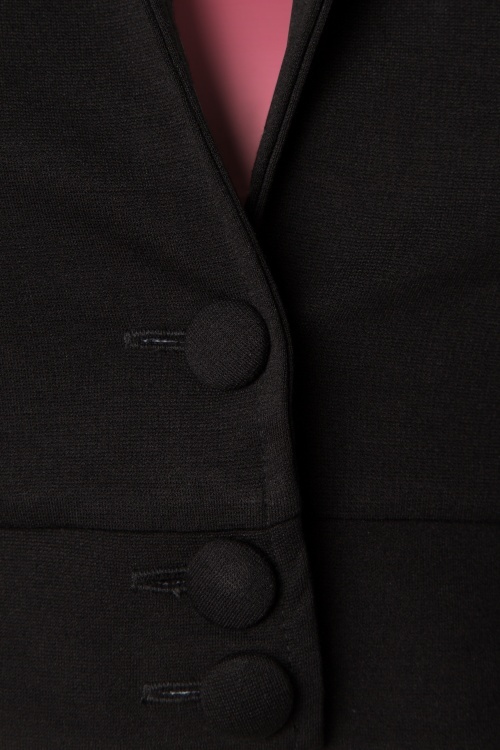 Made of a thicker, yet soft and stretchy, supple black fabric for a lovely fit. Must-have!